On Friday, the New Yorker published an article in which six women, four of whom spoke on the record, alleged sexual misconduct by CEO Les Moonves. The CBS board of directors announced on Monday that it will hire an outside law firm to conduct an investigation of misconduct allegations, an apparent reference to accusations made last week against CEO Leslie Moonves and larger questions about the culture within the network. In a short statement, the company said it is "in the process of selecting outside counsel to conduct an independent investigation." The company also said it is postponing its upcoming annual stockholder meeting, which had been scheduled for Aug. 10, with a new date to be decided by the board. No further action was taken on Monday. The board did not mention Moonves by name in the release or specify whether the investigation would also look into accusations of broader cultural issues at the company and its news division. Earlier on Monday, two sources familiar with the board's thinking who were not authorized to speak publicly said the meeting was centered on how to deal with the allegations against Moonves. The company's independent directors — those who are not employed by CBS — said on Friday that they are committed to an investigation of the allegations. On Friday, the New Yorker published an article in which six women, four of whom spoke on the record, alleged sexual misconduct by Moonves. The allegations date from the 1980s to the 2000s. Four of the women alleged forcible touching or kissing, and two others alleged sexual misconduct or harassment. The article also included allegations from several anonymous women who accused Jeff Fager, executive producer of CBS news show "60 Minutes," of inappropriate touching and failing to adequately respond to complaints about people at the news division. Fager has denied the claims. Moonves remains the chief of CBS Corporation, which includes the CBS network as well as the premium TV service Showtime and the publishing company Simon & Schuster. Zephyr Teachout, a law professor at Fordham University and a candidate for New York State attorney general, said Moonves should be suspended while any investigation is pending. "We are not going to be able to deal with sexual harassment, case by case," Teachout said. "I'm very disappointed in the [CBS] board. Imagine being a women working at CBS with a story to tell and the same person being accused is in charge of all hiring and firing." "The right thing to do is suspend him," Teachout said. CBS is in the midst of a legal battle with its controlling shareholder, Shari Redstone, who had previously urged Moonves to consider merging CBS with Viacom. The CBS board voted in May to dilute Redstone's ownership, a move that is being challenged in court. Redstone issued a statement on Friday calling for an investigation into the allegations. "Ms. Redstone hopes that the investigation of these allegations is thorough, open and transparent," the spokesperson said. CBS stock declined more than 3 percent in Monday morning trading. 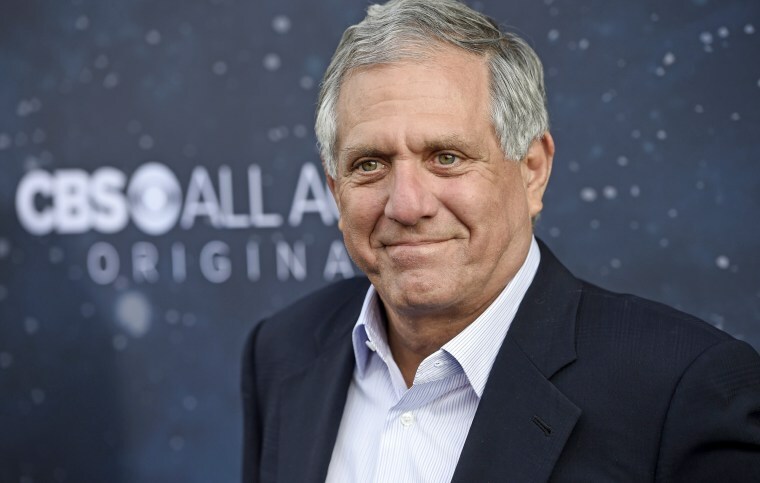 Moonves did receive some support from women who worked under him at CBS. Terry Press, president of CBS Films, who has been outspoken about harassment in Hollywood, wrote a post on Facebook that did not question the claims of the women in the New Yorker article but posed a question about forgiveness. "I do not believe that it is my place to question the accounts put forth by the women," she wrote, "but I do find myself asking that if we are examining the industry as it existed decades before through the lens of 2018 should we also discuss a path to learning, reconciliation, and forgiveness?"